Sawyer's line of the day: "If we don't play every 108 minutes the island is gunna explode!" How safe is Locke? Seems like he could get resolution with his father shortly and he is now a traitor and an OTHER. Very true Ryan. I just can't see this show going on without Locke, but I guess it's entirely possible! 2 Then God said: "Take your son Isaac, your only one, whom you love, and go to the land of Moriah. There you shall offer him up as a holocaust on a height that I will point out to you." Early the next morning Abraham saddled his donkey, took with him his son Isaac, and two of his servants as well, and with the wood that he had cut for the holocaust, set out for the place of which God had told him. Then he said to his servants: "Both of you stay here with the donkey, while the boy and I go on over yonder. We will worship and then come back to you." Thereupon Abraham took the wood for the holocaust and laid it on his son Isaac's shoulders, while he himself carried the fire and the knife. As the two walked on together, Isaac spoke to his father Abraham. "Father!" he said. "Yes, son," he replied. Isaac continued, "Here are the fire and the wood, but where is the sheep for the holocaust?" "Son," Abraham answered, "God himself will provide the sheep for the holocaust." Then the two continued going forward. But the LORD'S messenger called to him from heaven, "Abraham, Abraham!" "Yes, Lord," he answered. "Do not lay your hand on the boy," said the messenger. "Do not do the least thing to him. I know now how devoted you are to God, since you did not withhold from me your own beloved son." As Abraham looked about, he spied a ram caught by its horns in the thicket. So he went and took the ram and offered it up as a holocaust in place of his son. I think they could get rid of Syed this season. What do you think Rousseau is up to these days, now that she has seen Alex? Tony, fire didn't come out of your ears looking at the Bible? Tony - cool it with the Bible. Mike good write-up for a not so great eppy. I liked some of it but it seemed a bit pointless. 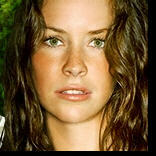 Dave - I did the same re; Kate using Sawyer - cow! And OMG who is going to die? 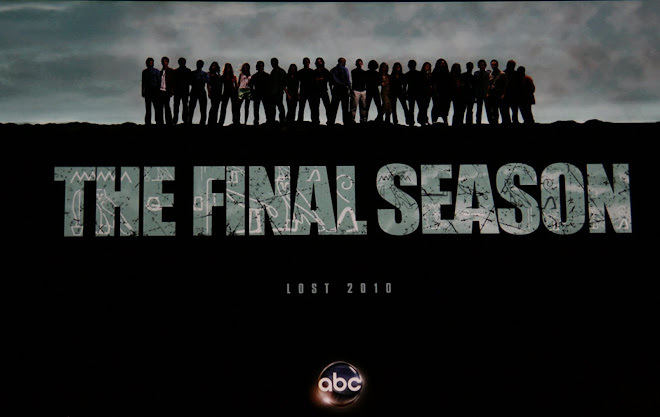 I can't see John, Sawyer, Jack or Kate going...but who knows with this show. When will Season 4 start? Leigh, Tony was just clarifying what I asked about in the blog. You gotta settle down with your Bible hatin!
" And my Old Testament memory is a little hazy, but I don't think Abraham really DID sacrifice Isaac. It was merely just a test. Kinda like Ross being willing to drink the fat for Rachel!" And Joy - Nooooo!!! Sayid rocks!! Omg--- LOVE the Friends reference. I knew I loved this blog! This was another strong episode, about as strong as the last couple but not stronger, for sure. 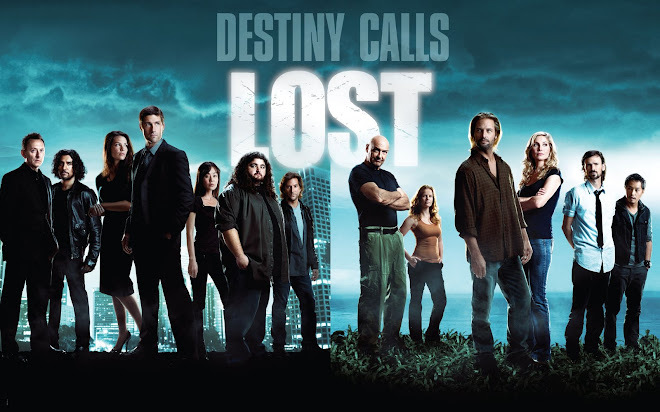 But since Exposé, Lost has had three solid eps in a row and I can begin to see why this season was one of Mike's favorites. Like him, I liked the first six episodes quite a bit and didn't mind the languid pace. Now I can see the pace accelerating and it's got me on pins and needles for the last six hours of the season. 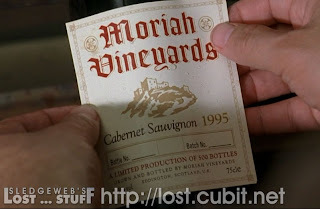 Mike, I don't think Desmond has to live through his whole life again to see another vision/version of Charlie dying, because the Old Lady in the jewelry shop told Des how things are "meant to be" and nature will do a "course correction" to make it happen. So if Charlie survives, Desmond just has a "Groundhog Day" vision of the next course correction. The question is, will nature ever present a situation where Des can't step in or forewarn Charlie in time? I hope not! Ah, Marsha Thomason played the parachute girl! I recognize Marsha from her work as an FBI agent on White Collar, where she has become a fan favorite! Her appearance reminded me that I forgot to mention Patrick J. Adams from Suits appeared a few eps ago as the son of the woman that Locke's dad was going to swindle out of millions. 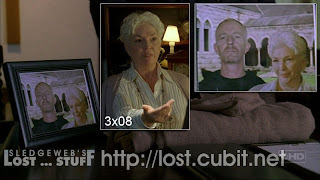 I know I must've missed other guest appearances on Lost, but seeing two characters who now star in USA Network shows (that I actually watch) on Lost was a kick. As for the father of Sun's child, I'm beginning to wonder. I always thought it was Baldy #2, but it's close to what, three months they've been on the island and Sun doesn't even have a little bump. Not that she would have to, since some women don't show for a long time. But I'm wondering just when did Jin and Sun roll in the hay after crashing on the island? They were fighting quite a bit early on and the shock of the crash...I don't know. I was sure that Sun cheated on Jin before the show confirmed it, but now I'm completely in the dark about whose baby it is, or whose baby it should be. As for who's gonna die, oh man, I don't even want to think about that. No way Locke is dying, right? He's too essential to exploring the mythology of the island. Sayid does seem to make sense. Charlie could be a candidate. But I don't want to lose either of them, either. But I should brace myself for a major character death. It's been so long since we've had one, and you know they need a big shocker for the season finale. Oh no...not Juliet! Of course, Shakespeare would tell us, "what did you expect, a happy ending?" @Miles - It only gets better! 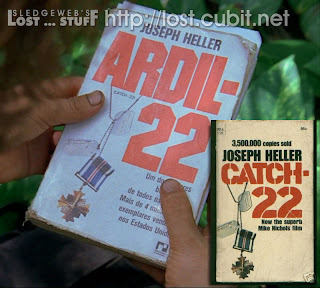 But yeah...I did love Catch-22 as an episode too. More Desmond stuff! I think the first time Jin and Sun "rolled in the hay" on the island is when they were reunited in season 2. Before that Sun still hated Jin (until they said goodbye). Interesting theorizing! You may not have long to get your answer. Yeah...it certainly has been long since a major character death happened. They even cheated in season 2/beginning of season 3 by killing off people they recruited AFTER the 1st season. (Well, and Shannon too) But, the longer the season 1 characters stick around, the more emotional stakes that are built around them. Obviously, I'm going to let you find out for yourself if anyone dies and who he/she/they may be! I just watched this one, and I loved it. The past 3 episodes have been totally outstanding. I always love when there's a serious plot line and then a light one running along beside it. And I'm with you Mike - anything with Desmond is always good. I always love any action with the Jack/Kate/Sawyer(/Juliet) Love Triangle (Rectangle). Ha! I do wish that Jack wouldn't be so cold to Kate. After everything they've been through in the last almost 4 months, you'd think they could take a walk down the beach and talk about everything (but that wouldn't give us the tension, so from a storytelling point of view I understand why they haven't really talked. I just wish they would.). I have to believe he's keeping his enemy close and that this is all a part of a larger strategy. That being said, I'm digging the Kate/Sawyer pairing. This is probably my favorite love triangle ever in television. So good. Can't wait to see what happens next! I work from home, and it's been super hard to focus on my actual work when that Netflix 'Play Next' button is sitting right there. Argh! Hello again Krista! Yeah, season 3 gets a bad rap, but it's one of my favorites. Sure, the beginning was rough (imagine only seeing those first 6 episodes then having to wait a few months to see the rest! ).....but then it really picked up and they just did tons of great storytelling and answers to early questions. The best is yet to come too! Ahh yes...i forgot about my Love Rectangle comments. LOL Interesting speculation on Jack! He certainly has been a supporting player in the 2nd half of the season...which makes you wonder what he's up to. They certainly made a good argument for Kate and Jack and Kate and Sawyer. It was a well played triangle...and the rectangle elements worked well too! I'm jealous that you're going to be experiencing some of this stuff for the first time. Enjoy it!! 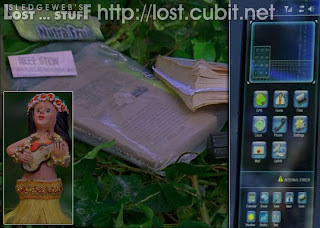 If I hadn't watched LOST yet and I was working from home every day...I'd be done in a week! LOL I work from home once a week and the temptation is bad enough then to catch up on stuff! lol I have a feeling you'll be done season 3 before you know it! man this season has been crazy. What a second half of the season. Makes you wonder what would have happened if Dez let Charlie die? Would the pilot be Penny if that was the case? Hi again Baran! I always loved the 2nd half of season 3. That season gets a bad reputation from the beginning, Nikki/Paolo and the jack tattoo ep but there's so much good stuff too. "I'm afraid you're beyond penance, Desmond"
I don't know why but I found that exchange so adorable lol. Don't worry Desy you will always remain a brotha to us all. Hi Edriss. I think this is the last comment you've left for now. So I'll be all caught up! LOL on the brother comment. You know the writers were cracking up when they decided to have him be an ex-monk with all of his brothaaaa talk! :) Great character.